Why choose Hawaii for your next holiday? Hawaii offers the perfect holiday for everyone. The ‘Aloha State’ has a rich history full of Polynesian settlement, world trade and American military history and it’s geography is captivating wherever you go. Marvel at volcanoes, swim below waterfalls, hike through rain forests and deserts or enjoy days spent at the beach, diving on the reefs or surfing world-famous breaks! The unique blend of South Pacific tradition and bustling American lifestyle mean that there’s plenty of things to do, no matter what your view of the perfect holiday is. Flop and drop at luxury beachside resorts, shop in malls and high-end boutiques and enjoy days fuelled by adrenaline before nights of lights and laughter! There are romantic retreats and family escapes, plus everything in between. Whatever your imagination can conjure, you’re bound to find it waiting in Hawaii! Hawaii is made up of hundreds of islands, but the ‘Aloha State’ consists of 8 major hubs. Only 6 of these are regularly visited and they include Hawaii Island, Maui, Oahu, Kauai, Molokai and Lanai. Each of the Hawaii’s islands are known for completely unique traits. Their nicknames reflect these, being the Big Island, the Valley Isle, the Gathering Place, the Garden Isle, the Friendly Isle and the Pineapple Isle. Read more about Hawaii’s island destinations here. My Hawaii holiday packages include direct flights from most major Australian airports. 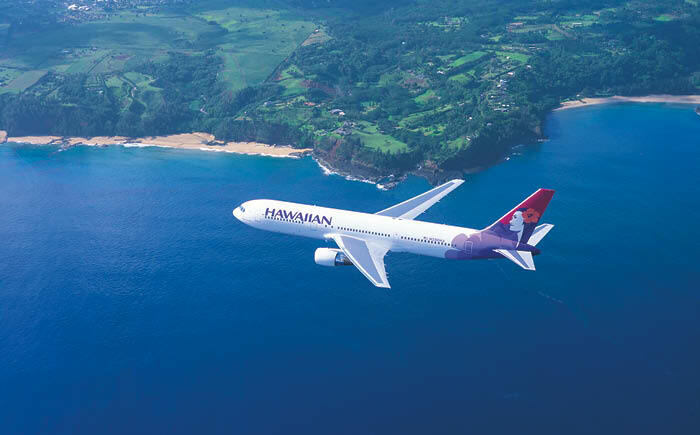 The flights are direct to Honolulu International Airport and, if you’re staying on Hawaii Island, Maui or Kauai, domestic transfer flights will take you from Oahu to your destination. Flight times vary depending on which capital city you depart from. Direct flights from Brisbane to Honolulu take 9 hours 15 minutes; from Sydney, 9 hours 45 minutes; and from Melbourne, 10 hours 30 minutes. 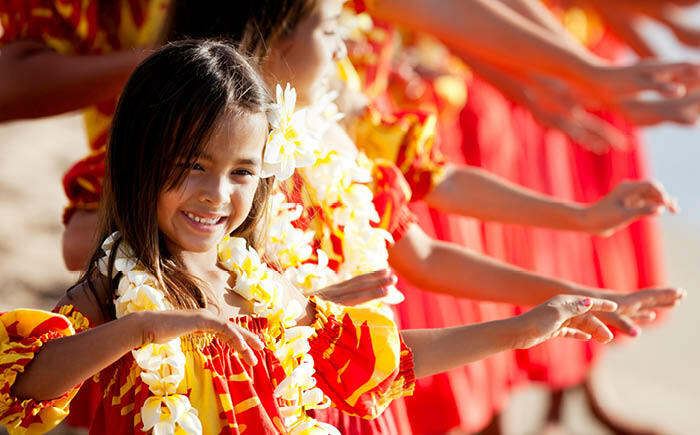 Hawaii is the only American state to have two national languages, English and Hawaiian. Despite being very proud of their Hawaiian language (one of the oldest living languages in the world! ), few people speak it. The exception to this is Niihau Island where the population is exclusively Polynesian-Hawaiian. Pidgin is commonly used elsewhere, blending English with Hawaiian phrases. You’ll notice this immediately through the “Aloha” greeting and the “Mahalo” thanks! The US Dollar is the official currency used in Hawaii. Major credit cards and traveller’s cheques are widely accepted, plus there are plenty of ATMs and currency exchange stores at the resorts, shopping centres and throughout each of the islands. A point to remember when travelling to Hawaii is that, as it is an American state, tipping is expected. A tip of 15%, minimum, is considered appropriate etiquette and this applies to airport, taxi, hotel and wait staff. Do I have to tip in Hawaii? Yes, American tipping rates apply in Hawaii except at nationally owned takeaway chains. While this may seem unusual for Australian travellers, it is essential for the livelihood of Hawaiians working in the service industry. There is no definite rule as to who to pay and how much but etiquette implies 15% for taxis, restaurants and bars; US$1 per bag for shuttles; US$2 per day for housekeeping; US$1-3 for parking attendants; US$2-3 for food trucks and US$5-25 for tour providers. The weather in Hawaii is consistently warm year-round. There are two seasons, but they are characterised more by the rain and the winds than a dramatic change in temperature. Average summer temperatures sit at 29°C (May to October) and in winter (November to April) they drop to 26°C. Trade winds help to keep humid periods cool and they also enhance each of the island’s unique microclimates. Click here to read more about Hawaii weather. 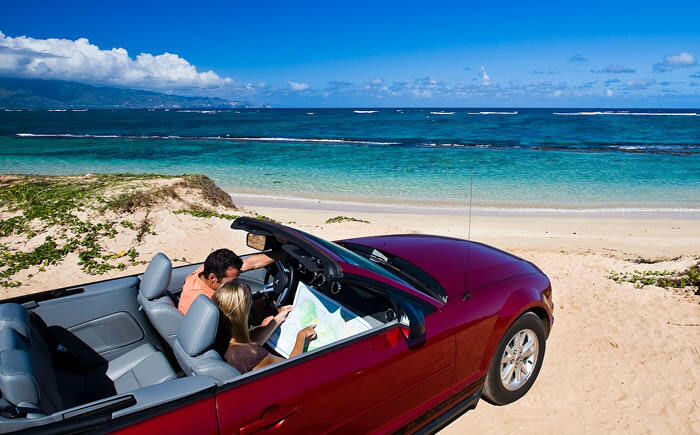 You can easily explore all of Hawaii’s islands with guided bus tours, shuttles and taxis. Travellers who want a bit more independence might also choose to hire a car. This is simple for Australian tourists—if you hold an Australian drivers licence, there is no need for an international licence in Hawaii! Quantities of hire cars are limited on some islands, so it’s a good idea to reserve your vehicle well in advance. Our My Hawaii Holiday Experts can assist you with this! How do I travel between the islands? Travelling between the islands of Hawaii is easy! Domestic, inter-island flights can take you to most of the 8 main islands and there are flights departing almost hourly throughout the day! The flights take no longer than 1 hour but, if that doesn’t appeal, there is one ferry that operates between the islands. This passenger ferry will take you between Maui and Lanai, plus there are cruises that hop between the islands too. Ask our My Hawaii Holiday Experts more about this! If you travel to Hawaii for business or pleasure for 90 days or less, you won’t need a visa as you’ll be eligible to travel under the Visa Waiver Program. You’ll still need to apply for Travel Authorisation through the Electronic System for Travel Authorisation. There are processing and authorisation fees involved, but it will be valid for two years from authorisation date. All Travel Authorisations must be issued to you at least 72 hours prior to departing Australia. Click here to complete the application for Travel Authorisation online. Can I honeymoon in Hawaii? Yes—Hawaii is the perfect place to honeymoon or celebrate your love, no matter what that may mean to you! Not only do most of the islands’ luxury resorts cater for weddings and honeymoons, there are also countless activities to enjoy with your loved-one. Hike through national volcanic parks and rainforests with a picnic, feast on eclectic cuisines at or around your resort, indulge in couples pampering and more! 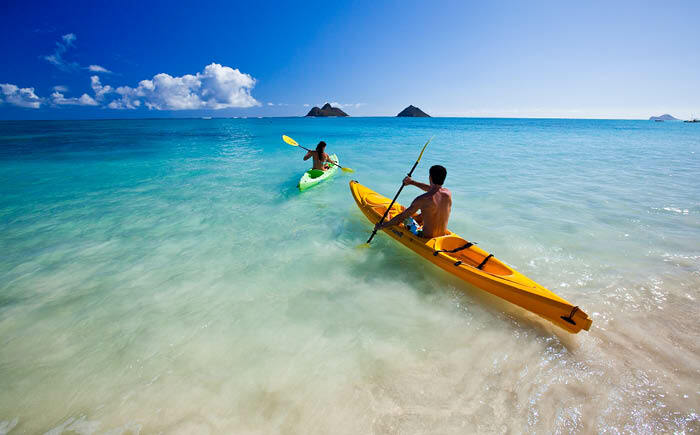 Ask our My Hawaii Holiday Experts for more information on our Hawaii Romance Packages today!